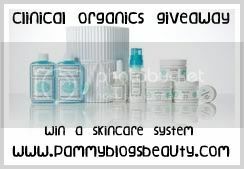 I am so excited to announce that 2 Pammy Blogs Beauty readers will each win a "Try Me Pack" from Clinical Organics Skincare. Yes, two winners!!! Each try me pack contains an assortment of Clinical Organics Skincare worth $352.00! 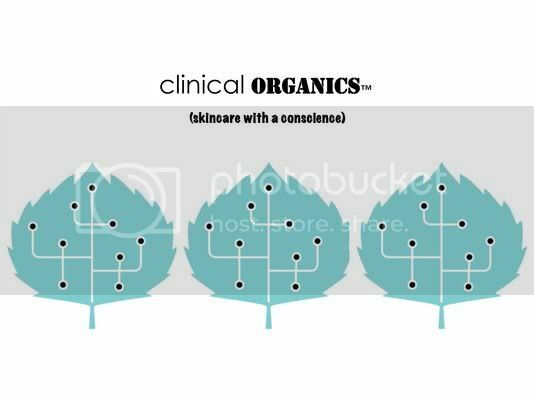 If you haven't heard of Clinical Organics Skincare, please be sure to check out my review of the entire line: Clinical Organics Skincare (Part 1) Brand Introduction and Cleanse/Tone, Clinical Organics Skincare (Part 2) Moisturize/Treat, and Clinical Organics Skincare (Part 3) Treatment Products. I really love this eco-conscious skincare brand! So, I am totally thrilled to host a giveaway for my readers!!! For more details and the entry form, please keep reading after the jump break! Clinical Organics Limited Edition "Preview Pack"
These preview packs are a great way to try out the Clinical Organics line! Each pack contains an assortment of Clinical Organics skincare products including a cleanser, toner, repair serum, repair creme, eye product, exfoliator, hydrating repair, and clay mask. You will get everything you need to cleanse, tone, heal, exfoliate, purify, hydrate, and repair! The retail price of this preview pack is $352.50! Check out this Clinical Organics link to learn more about the brand and the preview pack. Two winners will be selected and each winner will receive one Clinical Organics Preview Pack each! 3. Only one entry per person. You will be disqualified if you enter more than once. I will be checking for this as I had a few people entering numerous times on my last giveaway. 5. This contest is open to residents of the USA only. 2. "Like" Pammy Blogs Beauty on Facebook and do a wall post about this giveaway (2 extra entries). 3. Do a Blog Post about this Giveaway. Please be sure to include a link back to this giveaway and include the giveaway photo (3 extra entries). 4. Do a Blog Sidebar post about this giveaway. Please include a link back to this post and include the giveaway photo (3 extra entries). Contest Ends on Midnight Thursday July 28th.